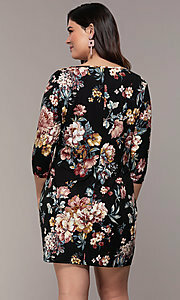 In a pretty floral print, this plus-size party dress, fashioned in a short shift design, offers comfort and style. 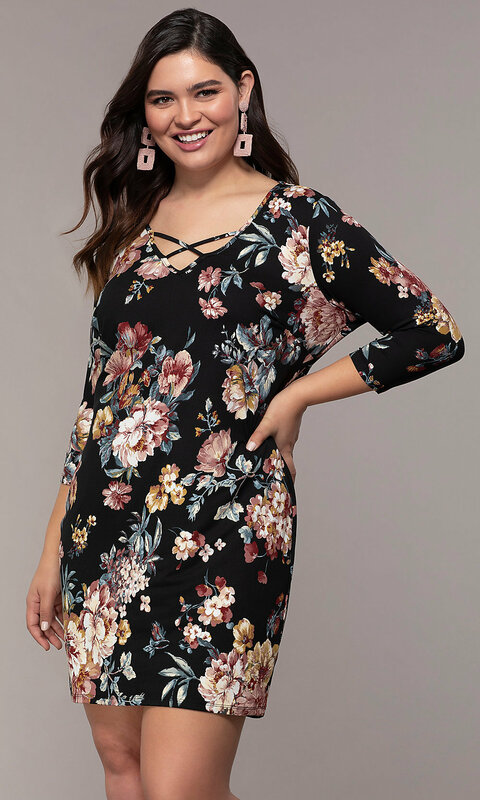 The short jersey dress has three-quarter-length sleeves and thin criss-cross straps above the v-neckline for an up-to-the-minute look. 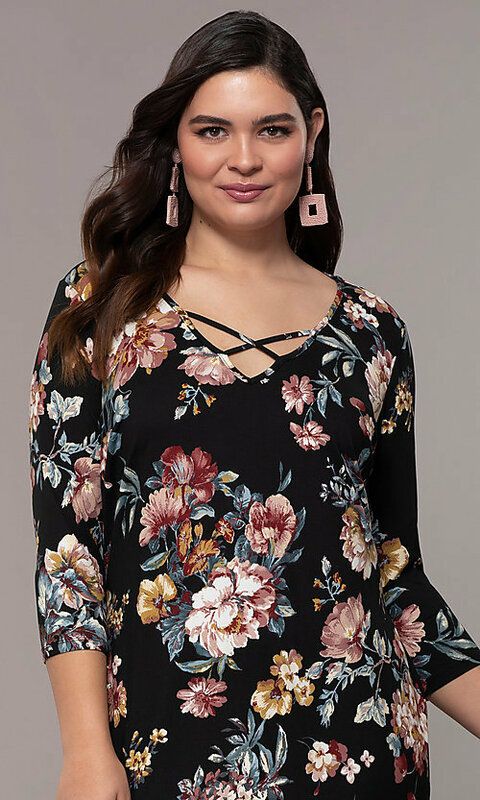 At well under $50, this plus-size party dress is affordable and picture-perfect for semi-casual events, days at work, and family celebrations.